Valor did not arise from following well-worn design principles, but rather attempting to rewrite the book on how a superior transducer operates. 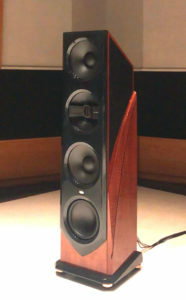 Bill Dudlestonis highly trained as an acoustician and electronics designer, has devoted inordinate time and personal resources at Legacy Audio to development of the Valor and its accompanying Stereo Unfold technology, and the result is a heroic speaker that goes above and beyond expectations of audiophiles. 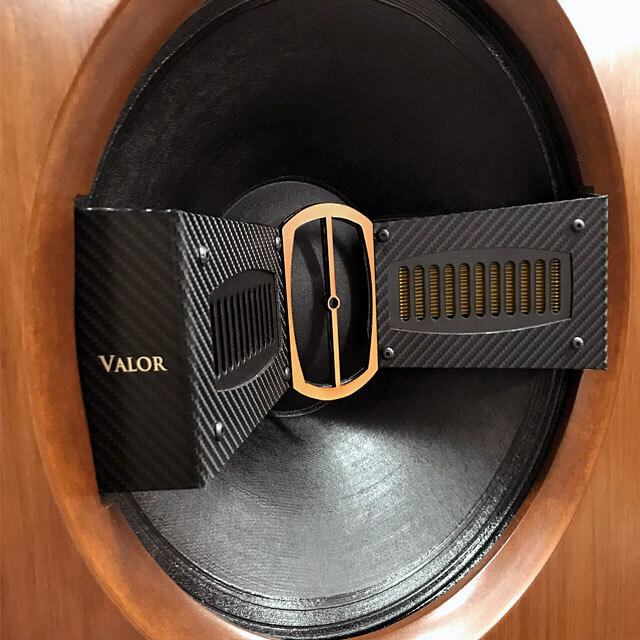 Speaking of heroism, it was no small feat of courage to move the 288 pound per side Valor speakers down my stairs to nestle them into the basement listening room. Gratefully, Legacy Audio sent over Landon, who is built like a linebacker, and Brice Auxier, Legacy’s Technologist. Between the three of us we were able to bring the speakers down in a thoroughly controlled fashion. I do not recommend attempting to move these speakers with less than three persons, though Brice has a tale of an impossible installation situation involving him and two recruited bystanders moving the Valor speakers up several flights of stairs.This newest flagship speaker tipped the scales at about 60 pounds more per channel than the Whisper speakers previously reviewed. Legacy certainly does not shrink back from making big speakers! On the Pro side of the company’s products is the Double Helix at 62”x 36” x 18” and a whopping 350 pounds per side! I’m content to limit my reviews to the domestic products. However, that does not indicate less power is recommended! Consistently, and keeping the relative ratio of power to efficiency of speakers, I find that higher clean power means better sound quality. All things equal, I will normally prefer a 60-watt amp to a 30-watt amp. I have found through the years that if I can pair equipment (i.e. 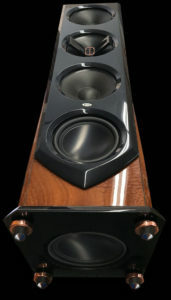 source, cables) with the Legacy Audio products the results will be more impressive with higher power. 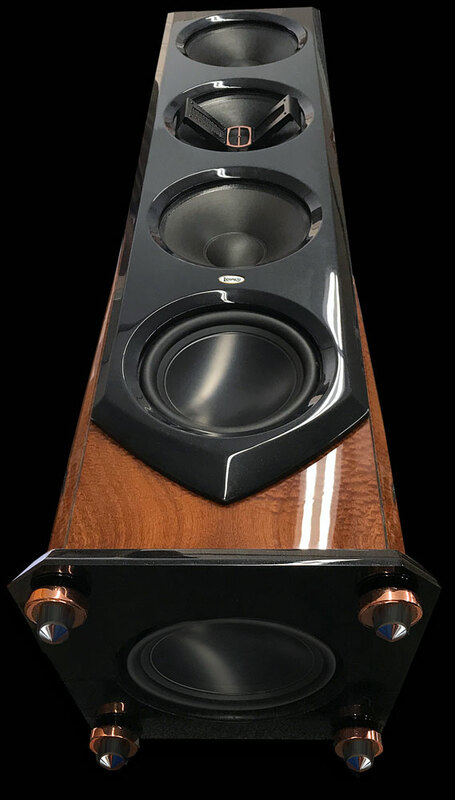 This should not be surprising, as it held true not only with Legacy, but also with other dynamic speakers such as the Vapor Audio Joule White and panel speakers such as the Magnepan .7 and the Kingsound King III electrostatic speaker.